News TV Channel / RTL Televizija is a Croatian commercial broadcaster with national availability that has been broadcasting since 30 April 2004. 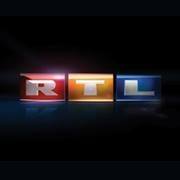 RTL Televizija is 99.9% owned by the RTL Group. It was launched as the second commercial television network with national concession in Croatia, the first being Nova TV. On 15 May 2014, RTL Group, the leading European entertainment network, announced the appointment of Henning Tewes, Managing Director of the news provider Enex, as the new Chief Executive Officer (CEO) of RTL Hrvatska with effect from 1 July 2014. Tewes succeed Johannes Züll who left RTL Group to become CEO at the German production company Studio Hamburg. Following a proposal from Henning Tewes, Ivan Lovreček, than Editor-in-chief of RTL Hrvatska and a member of the company's Executive Board, was promoted to Deputy CEO of RTL Hrvatska, also effective 1 July 2014.